It's the best part of who we are. At the core of our human spirit, we're all called to empower others to live better lives. For you it may look like mentoring a child from your community, or counseling a stranger during their time of need. 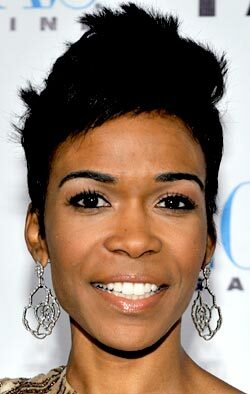 For Grammy award-winning singer Michelle Williams, however, it looks like her godson and the many faces of TERI. When her godson was diagnosed with Autism last year, singer/actress Michelle Williams (formerly of Destiny's Child) knew it was her opportunity to use her golden pipes to speak for others on and off stage. Equally thrilled by the opportunity to partner with a genuine spirit, TERI's CEO and founder, Cheryl Kilmer, says they couldn't have found a better spokesperson than Michelle. "I knew she was going to stay committed to this work," said Kilmer. "She was passionate, sincere and truly demonstrated how much she cared about this cause." 4 million children are born in the United States every year and approximately 36,500 children will eventually be diagnosed with an Autism Spectrum Disorder (ASD). Assuming the prevalence rate has been constant over the past two decades, we can estimate that about 730,000 individuals between the ages of 0 to 21 have an ASD. After years of experience with individuals with developmental disabilities, Kilmer went on to found the San Diego-based non-profit TERI in 1980. Inspired by one of her former patients, named Teri, TERI (The Training, Education & Research Institute) aims to provide a center of excellence and social change for families and those with autism and other developmental disabilities. At its core, TERI strongly believes that every person living with autism and other developmental disabilities deserves to do just that: live! While other non-profits focus on autism prevention and developmental disability cures, TERI focuses on those currently living with these disabilities, providing programming and innovative experiences encouraging a meaningful and high quality life. It was this focus that caught Williams' attention. "You can see the fulfilling lifestyles people have with TERI. Other agencies are seeking a cure, but we're working with people who have the diagnosis and this is their life. We can provide the support that they need," says Williams. During her recent visit to a TERI facility, Williams rode her first horse, visited their 23,000 sq. foot fitness and culinary center, and sang "Amazing Grace" with residents. This partnership couldn't have come at a better time, as TERI recently launched their building campaign for a 2014 opening of its Charles R. Cono Campus for Life Quality center – a central home for TERI's best in-class initiatives and programming. From New York to Africa, TERI continues to be a global leader in this work and hosts a web based curriculum allowing others to be trained around the world. 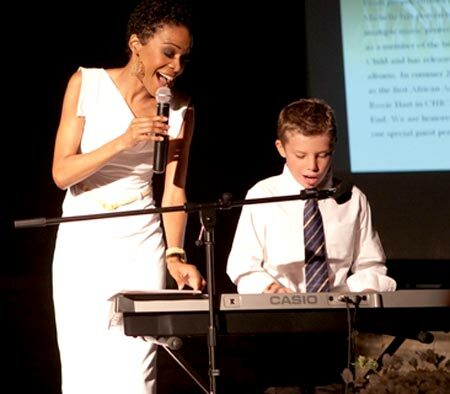 As TERI continues its expansion, Michelle Williams is excited to be the voice for so many others, especially if that means singing "Amazing Grace" with some friendly faces along the way. To learn more about TERI, its model programs and initiatives, the Charles R. Cono Campus for Life Quality, or to give a gift, please visit www.teriinc.org. For more information about Michelle Williams, visit www.IAmMichelle.com.